4J combines two of our favourite arts - dancing and music. The results are fantastic. In Year 4, we aim to provide interesting and engaging activities that allow all children to succeed. To further support your child in ensuring that they can develop to their full potential, both Year 4 teachers (Miss Johnson and Miss Moffitt) will be teaching your children for both Maths and Guided Reading. This means that children will receive additional support catered to their stage in learning, ensuring that they can make rapid progress this year. Please find below a link to the subjects covered this year and our weekly timetable for each half-term. Please check back here after our Parents Workshop to find details of activities to support your child in their learning, including online games, and parental help sheets for each of our topics. We have been incredibly lucky this half-term to participate in 3 visits to Broughton Library, Kersal Dale Nature Reserve and Manchester Museum. 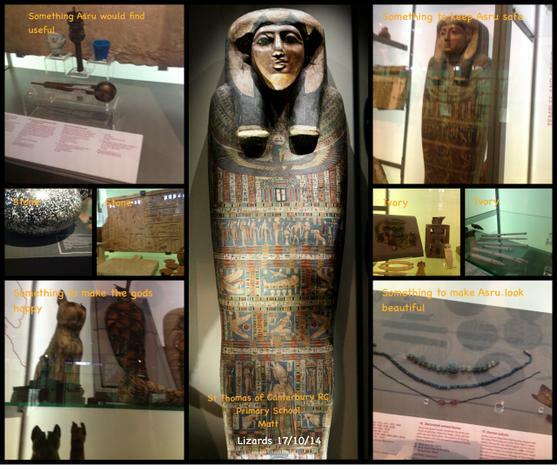 Towards the end of the half-term, we enjoyed a visit to Manchester Museum to take part in an Egyptian Worlds session. We spent time with Hannah and Matt, who told us about an Ancient Egyptian Princess, called Asru, who was mummified and donated to Manchester Museum. 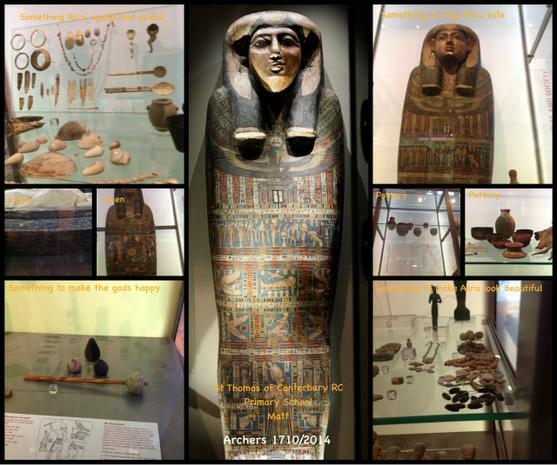 We were able to look at and handle a range of Ancient Egyptian artefacts, using our spider claw and detective finger of awesomeness! We were also challenged to complete a pyramid building activity, which all schools who attend the session are asked to complete. The activity is timed and 4J worked so well as a team, that their time was in the top 5 times for Year 4. If there time is unbeatable, at the end of the year, the children will receive an exclusive prize from the museum. Let's keep our fingers crossed! At the beginning of October, we were very lucky to be invited to visit Broughton Library. We had the opportunity to look at the huge variety of different texts available for us to borrow, including audio books and DVDs! We began to recognise how the library organised the fiction and non-fiction books and tried to order books using the Dewey Decimal system! At the end of the visit, we were allowed to use our very special library account cards to take out some books for us to enjoy. At the end of September, we went on a expedition to investigate the local habitat of Kersal Dale. We were met by Gail, a Park Ranger, who took us on a lovely walk through the nature reserve, where we had the chance to complete a Leaf Hunt, identifying different types of trees; we had the opportunity to investigate some of the smaller creatures (minibeasts) that live in Kersal Dale and enjoyed a beautiful walk by the river, where we even managed to spot a wide variety of ducks! We hope to be returning back to Kersal Dale in January so that we can identify how the habitat has changed over time.